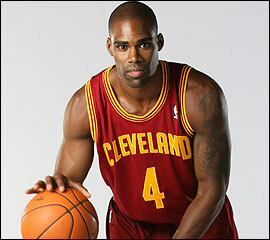 Cleveland Cavaliers forward Antawn Jamison has a fractured left pinkie finger that will require surgery and will force him to miss the next five to seven weeks. The injury could cost Jamison the remainder of the season as the Cavs have just over six weeks remaining in their schedule. The injury is a costly one for the Cavaliers as Jamison had started 38 of the 56 games he appeared in and led the team in scoring at 18 points per game while averaging 6.7 rebounds. He had been especially consistent during the month of February as he started all 11 games he appeared in and averaged 22 points and 7.3 rebounds per game. Jamison, in his 13th year in the NBA, has played in 920 regular season games and has averaged 19.7 points and 8.0 rebounds over his career. If he misses the remainder of the season, this will be the most games he has missed in one season since the 99-00 season, his second in the league, when he played in 43 games. There are two leading candidates who will likely replace Jamison in the starting lineup, rookie Samardo Samuels or Ryan Hollins.